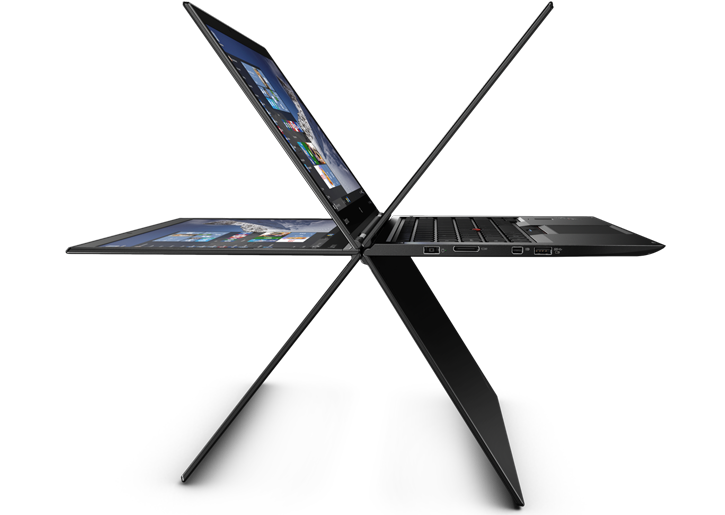 Lenovo is in full force for CES 2016, unveiling some of the greatest device of all time, among them highlights are Thinkpad X1 Trio. 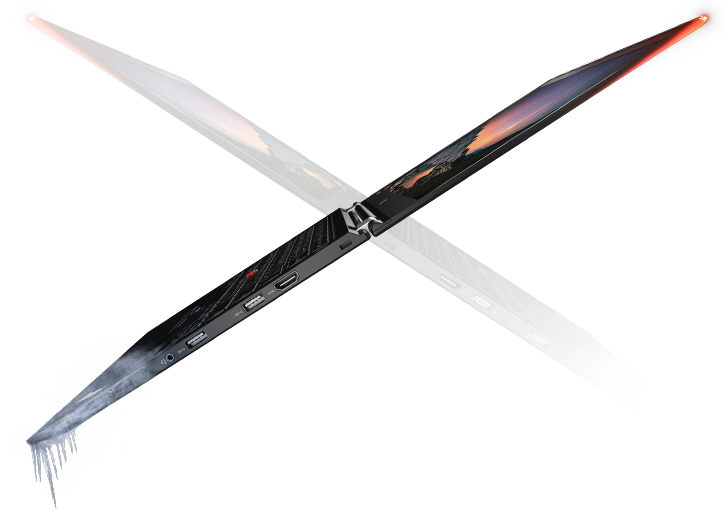 These are flagship Carbon, the OLED display Yoga and the Convertible Tablet. 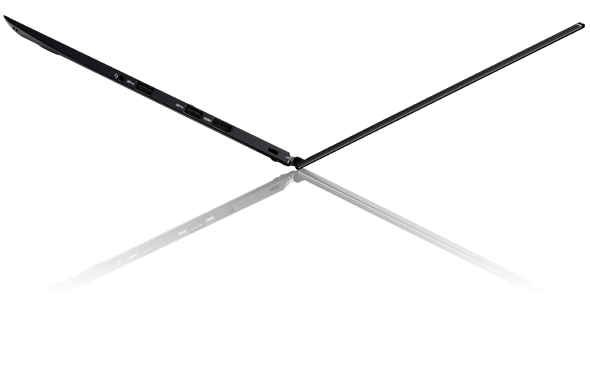 The this ThinkPad X1 Carbon is really thin. Lenovo says it is Ultrathin, Ultralight, Ultratough. It sports a IPS 14-inch Display, it is a 2K (2560 x 1440) display and antiglare screen. It has 180&deg; viewing angle and is also available in FHD IPS Display. 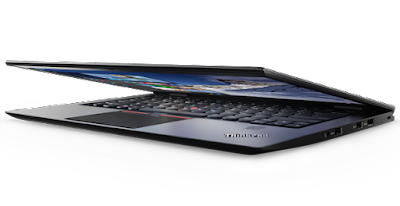 It can be configured upto Intel Core i7, up to 16GB of RAM, with Ultrafast Samsung PCle NVMe SSD storage which means you can open files and applications more than two times faster than SATA SSD says Lenovo. The Battery can last up to 11 hours. 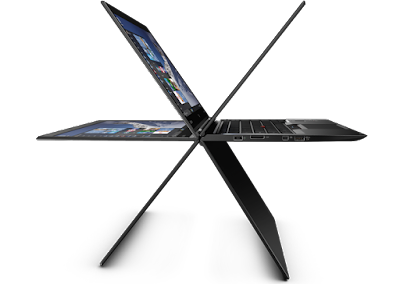 On the connectivity side it has 4G LTE-A support, Wi-Gig (wireless TV out), Bluetooth 4.1 and 2x Wi-Fi 802.11ac. For fatsre transfer you get three USB 3.0, HDMI mini DisplayPort and one thing I like is, it has a Fingerprint reader for more security. As said above the new Ultrabook still passes MIL-SPEC testing and features a carbon-reinforced chassis. 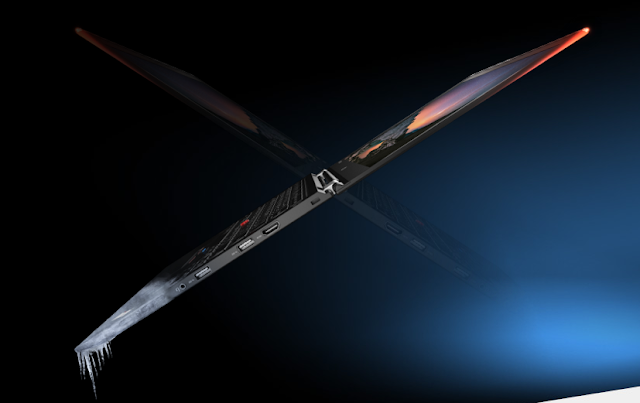 As the name suggest, the Laptop can be kept in several viewing angles beyond 180 degrees. It also comes with an integerated Stylus Pen plus software. It sports 14-inch QHD AMOLED Display with touch support. Alternatives are QHD IPS LCD (no touch) and 1080p IPS (with touch), all the three match at 300 nits brightness. 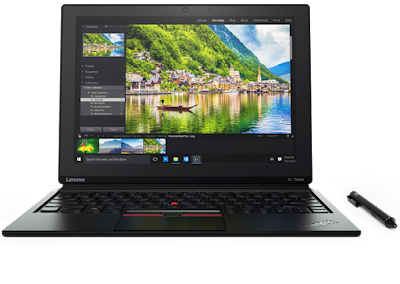 Configuration options include up to Core i&, 16GB of RAM and 1TB PCle NVMe SSD. It is priced for $1,439.10 . by a Core m7 processor and you can get up to 16GB of RAM and 1TB SSD. The battery would last 5 Hours for Tablet alone and 10 hours with the keyboard, but we could say these are approx. 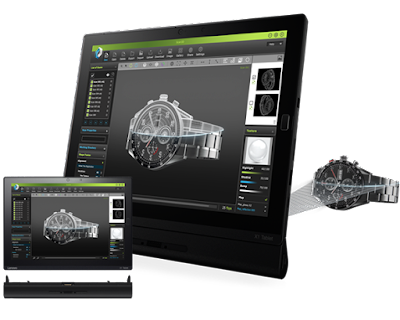 Lenovo also has some cool accessories, the optional add-ons like built-in projector, which promises a 60-inch image at 2 meters, a 3D Intel RealSense camera and a battery module. On Connectivity side there is a sinfle USB 3.0, one USB Type-C, HDMI and mini DisplayPort, also there is fingerprint sensor and LTE support. So which one would you pick, comment below and share.